It’s that sinking feeling that everyone who drives has had at one time or another…you’re cruising along, having a decent day, feeling no real worries, and then you look down and see a little orange light on your dash is lit up. All your care is directed here now, as you try to decide how big of an emergency this is…. Do you hear a sound….? Smell a strange smell…? Feel any difference in your car’s handling….? You check your other gauges… and it really feels like nothing has changed. Does that mean you ignore the little orange light that now seems to be boring into your eyeballs each time you look down? Luckily your friends at Crumpler’s Automotive are here to help. Read on to learn how to handle this little orange friend like a BOSS! To keep this basic, always understand that check engine lights monitor your car’s performance. When the light comes on, it means your car has diagnosed that it has an electronic control system issue, and it’s unable to repair it on its own. Also know that the check engine light signifies different things for different cars, so as much as it seems like a pain, this is the moment when you need to pull out that handy owner’s manual for your car and do a little reading. This can at least give you some insight as to whether this is small or a more critical issue. Regardless, you’ll need to start thinking of making plans to get it into us so we can take a look at it. An oxygen sensor needs to be replaced. You could lose a lot of fuel if you don’t get this replaced soon. Something is wrong with the gas cap. Your car’s catalytic converter needs to be replaced. A broken one will make your car run at a higher and more dangerous temperature. Mass air flow sensor may need to be replaced. This will also cost you in fuel. Spark plugs or plug wires need to be replaced. Your vehicle will begin to run poorly if you don’t get this fixed. As you can see, this doesn’t mean you need to panic. But it does mean that you need to go ahead and call us to get in and see what’s going on. To schedule an appointment, call (910) 483-2958. We’re open from 7 am to 6pm Monday through Friday. By the way…Fall is in the Air! 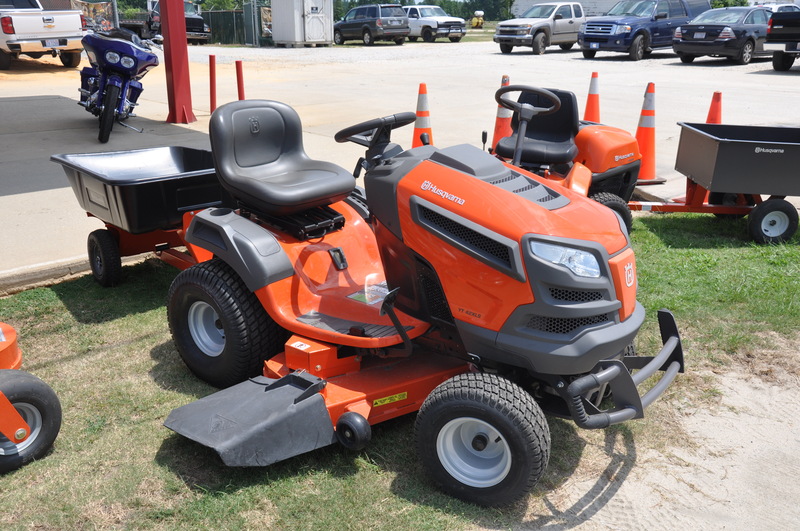 We have some great deals on Husqvarna mowers before the season ends. 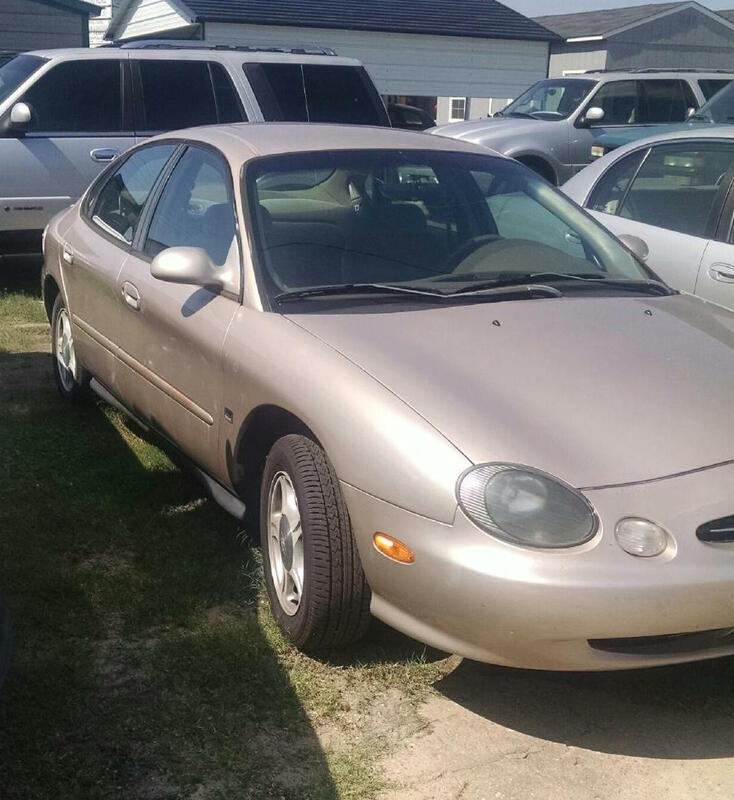 Come see what we have on the lot! Also if you’re ready to start some of those fall weather yard tasks, come see us about weed eaters, leaf blowers, and chainsaws. We have them all! FOR SALE: 1988 Monte Carlo SS. You will love the way this rides! FOR SALE: Completely Custom bike made in our shop. Not another like it! These and many more for sale, just call us at (910) 483-2958 and follow us on Facebook. Also, check out our website! And always feel free to comment and share here. We love your feedback! We’ve been around since 1970 and most people know the generals: that we’re an automobile repair shop. But not everyone knows that we’re this and so much more. We’re here to help you in so many ways, and we wanted to share with you all the facets of our enterprise for this month’s blog! To keep your vehicle running properly at all times, we offer a number of services in the Stedman, NC area that are carried out by our certified, expert auto service and repair technicians who have years of experience performing everything from oil changes to a complete engine overhaul. The Crumpler family is here to serve our community! 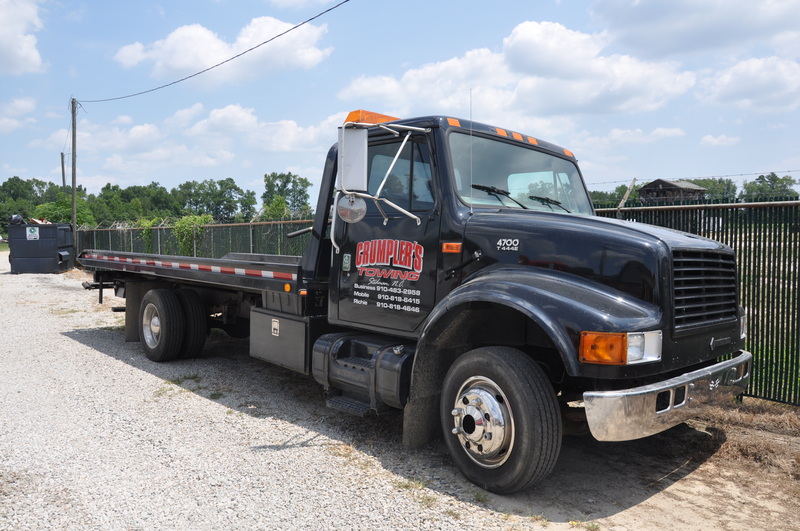 Essentially we can take care of all of your auto repairs and vehicle maintenance needs, because Crumplers Automotive Inc. is a full-service preventive maintenance and auto repairs center. Allen Bass works in our custom cycle shop along with George Crumpler. Because of this, the Crumplers sell wheels, do custom paint jobs, add chrome accessories and do performance work. The beauty of this line of work is the variety. George works on anything from classic bikes to more current models, although each presents its own challenges always. Piecing together the puzzle for a great finished product is what we do best! We have motorcycle helmets for sale in the shop! We’re also in the business of repairing, servicing, customizing and getting parts for golf carts! We are excited about offering this, because we know many of you have golf carts already or plan to get one. 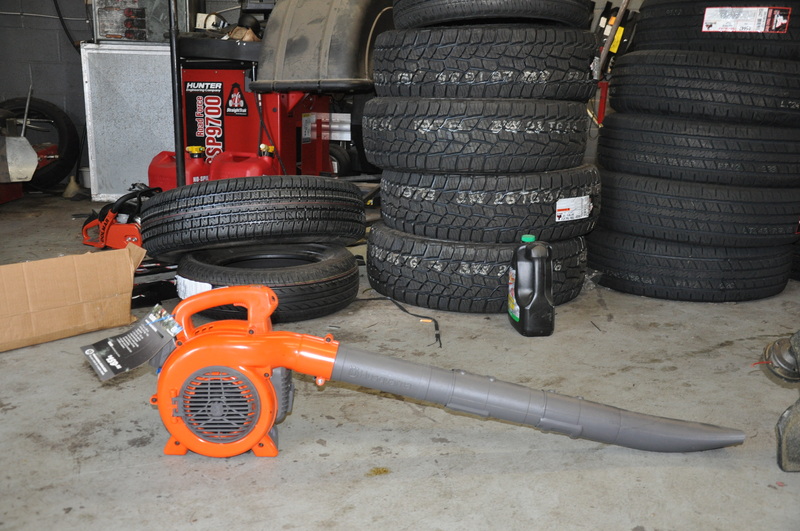 Make sure it’s running efficiently and customized to your wants and needs with our help. Getting new tires means that for the next 65,000+ miles you’ll have good traction and drivability. They will increase your vehicle’s ability to stop, maneuver and turn as well. If you have a set of worn out tires with an uneven tread pattern, your gas mileage will suffer, because your car will have to work harder. When you update your tires with us, you’ll rest easy knowing that your tires are properly mounted, balanced, and are at the proper pressure. We’ll also make sure your vehicle is aligned so they wear evenly in the future. If you’re unsure as to whether you need new tires, that’s an easy solution: just come see us, and we’ll check them out for you and let you know if you need new ones, or how long you have left on your current tires. Then we’ll also recommend the right tire for your vehicle to fit your needs. We love cars and bikes and all things machine, and so we put our efforts into take care of those needs for all of our loyal customers. 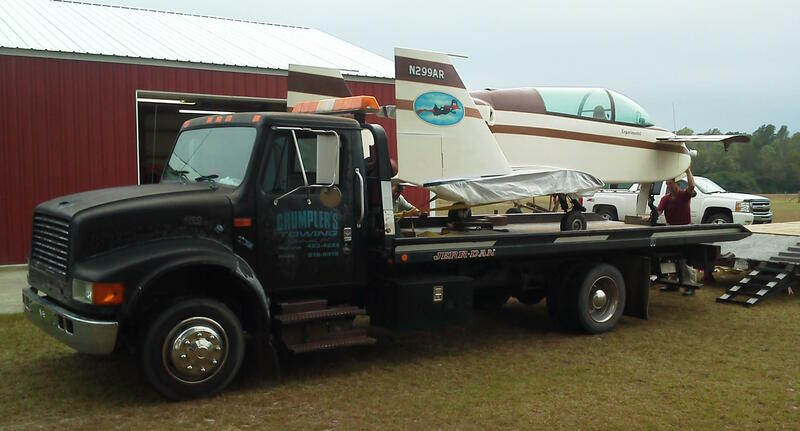 We added a Wrecker Service to our line of services and make ourselves to all of you 24 hours per day. 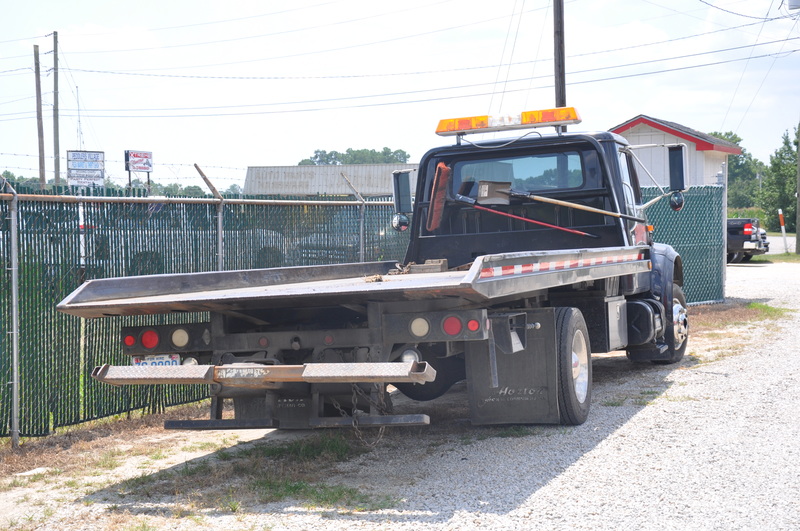 When the worst happens and you need towing, don’t you feel better calling someone you trust? 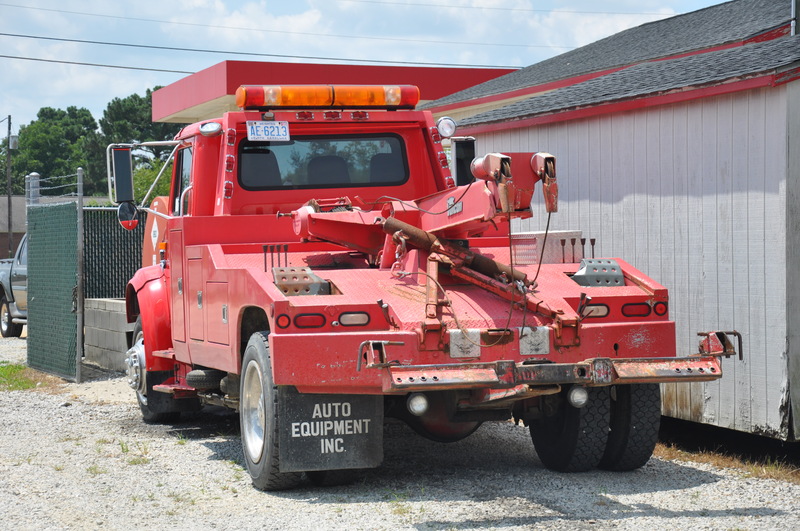 We know how vulnerable you can feel when you need a tow, and we make it our policy to get there and take care the situation so that you safely get your vehicle and yourself to your destination. Life is a journey, but sometimes there are bumps in the road. Put us in your contacts on your phone so you’re not searching when you’re nervous or panicked. 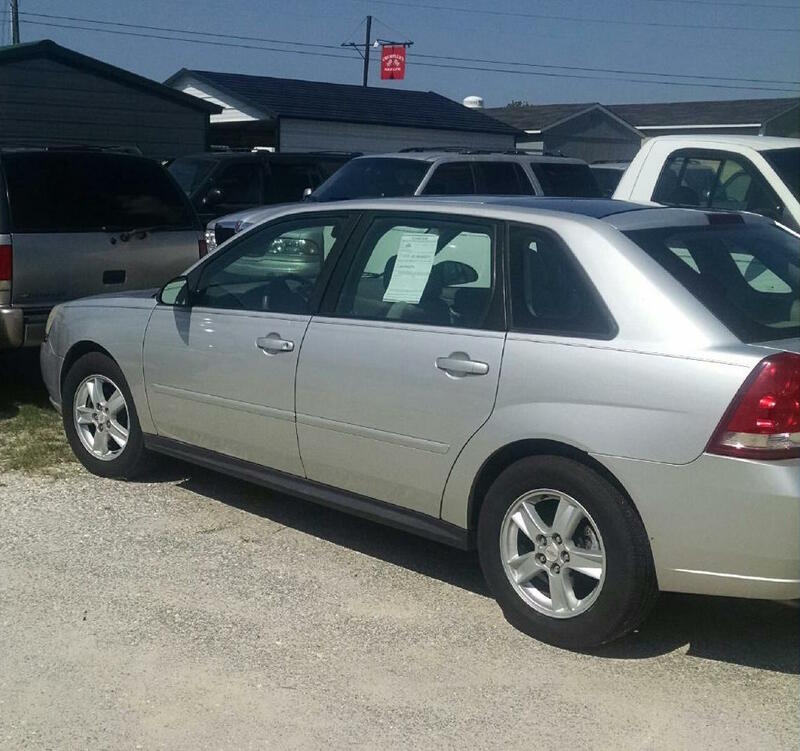 We make it our business to find great used cars and make sure they’re good-to-go. Then we offer them for sale to the public–it’s that simple. Leslie, Richie’s daughter, runs this part of the business as the Auto Sales Manager, and Rick Player works in Automotive Sales. 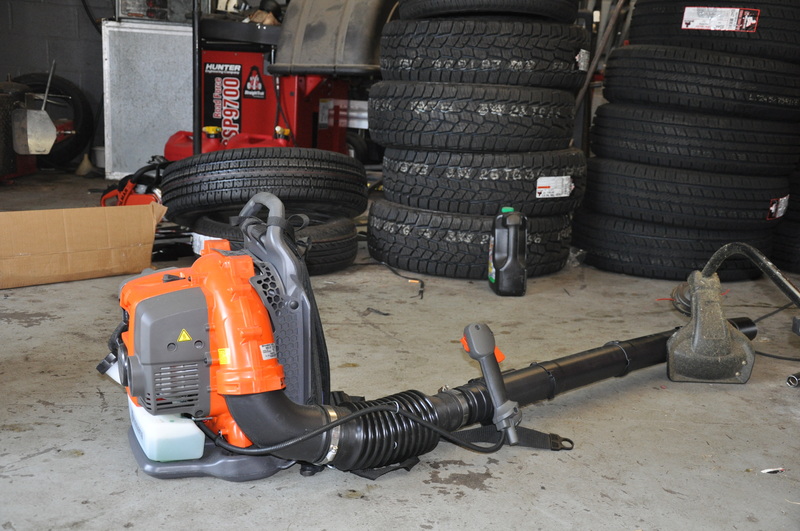 Husqvarna is the global leader in the production of outdoor power products. 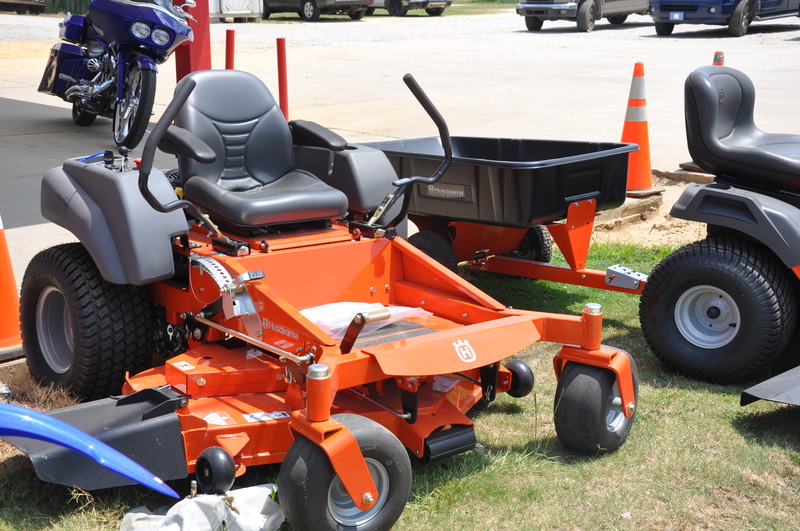 From riding lawnmowers, to chainsaws, to trimmers and carts, they’re dedicated to being responsible suppliers and in turn, only work with reputable dealers. We’re proud to be one of them. Aligning ourselves with a company that’s been making products since 1689 and has grown to be one of the leaders in the market for lawn equipment, assures us that our customers will be well taken care of and satisfied for years to come. We have mowers galore! They will run cooler and cleaner and give you better power and fuel economy than you’ve ever had before. 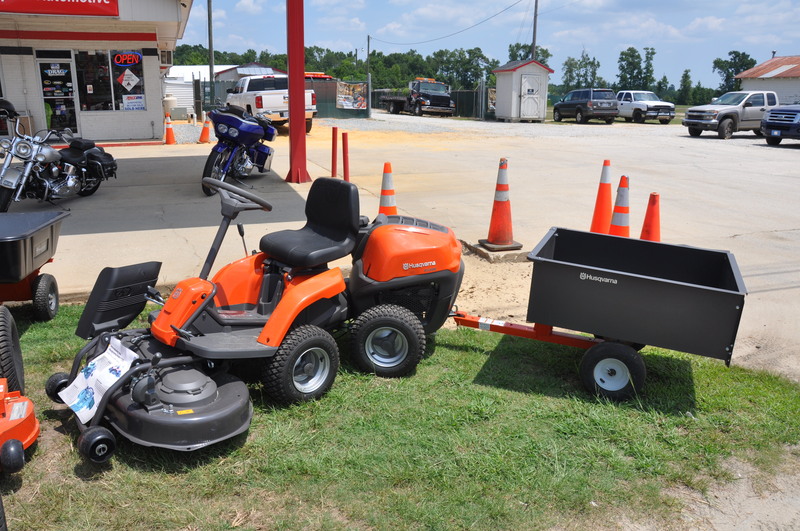 These mowers are easy to use with hydrostatic transmission systems and gauges easily controlled from the driver’s seat. From cruise control to an adjustable comfort seat as well as a cup holder, you truly be able to sit back and relax during your mowing experience. 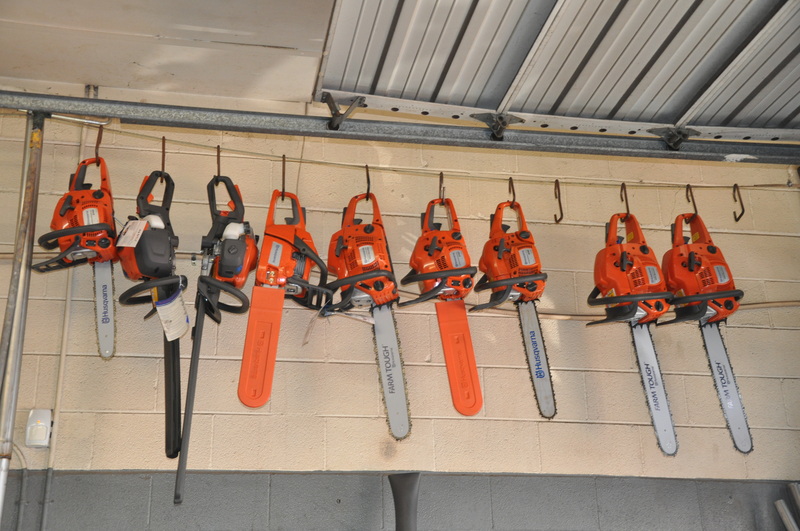 We also have chainsaws, blowers, trimmers, and can order any Husqvarna product you may want. The same rings true for our Auto Plus parts, all mower parts and auto parts. If we don’t have them, we can get them for you! We are proud to be a local business, employing local people. Our products and services rival any of our competitors and our prices are competitive with national chain stores. But that’s not why we are here. We’re here to serve our community and proudly bring our best to work every day. We have a goal of excellence, and we’re only getting better with age! Tires, Golf Carts and More! It’s almost May, and it’s been a busy season at Crumpler’s Automotive and Crumpler’s Custom Cycle! We have been hard at work on repairs and vehicle maintenance as well as making sure to have all the Husqvarna products that you may need as spring really gets into full swing. This time of year is a great time to make sure your tires are good to go. With vacations coming up and historically more driving in the spring and summer, you’ll want to make sure you have safety in the forefront of your mind. Getting new tires means that for the next 65,000+ miles you’ll have good traction and drivability. They will increase your vehicle’s ability to stop, maneuver and turn as well. If you have a set of worn out tires with an uneven tread pattern, your gas mileage will suffer, because your car will have to work harder. When you update your tires with us, you’ll rest easy knowing that your tires are properly mounted, balanced, and are at the proper pressure. We’ll also make sure your vehicle is aligned so they wear evenly in the future. If you’re unsure as to whether you need new tires, that’s an easy solution: just come see us, and we’ll check them out for you and let you know if you need new ones, or how long you have left on your current tires. Then we’ll also recommend the right tire for your vehicle to fit your needs. We also want to take the opportunity to announce that we are now in the business of repairing, servicing, customizing and getting parts for golf carts! We are excited about offering this, because we know many of you have golf carts already or plan to get one. Make sure it’s running efficiently and customized to your wants and needs. Ride in style this year! We wanted to let you all know about a great event that is coming up–the Randy Lee Fundraising Benefit Luncheon and Bake Sale on May 3rd from 11 am until 2 pm at Haymount United Methodist Church, 1700 Fort Bragg Road, Fayetteville, NC. Randy Lee is a retired Trooper from our area who will soon need a double lung transplant. Each purchase of a plate will help with the high cost of this procedure. To purchase tickets, call Kathy Lee at (910) 818-8637 or Nick Pope at (910) 237-0860. Are you looking for a Mother’s Day gift yet? Remember, it’s right around the corner on May 8th. ;) We have all kinds of Husqvarna equipment that she may like. Make it an extra great gift by offering to be the first to use it for her as well, and beautify her yard in the process! Party in the Park is fast approaching in Stedman on May 20 and 21st. Look for our Crumpler’s booth there–we will have some great giveaways and displays! 2002 Harley Sportster, 883, Purple. Come check out this smaller, but easy to ride bike! 2013 Harley Ultra Classic CVO, Red, 10,000 miles on it. Great bike, lots of miles to go! 2003 Yamaha V Star 650, Blue. Great condition. 2009 Harley Ultra Classic, White. 31,000 miles. Gorgeous bike with a lot of power. We’re open from 7:00 am to 6:00 pm every Monday through Friday and would love to show all that we have to you. Call us at (910) 483-2958 as well for more information. And as always, watch our website and our Crumpler’s Facebook page for current updates. We love your feedback and shares. Thank you all for your support and your business. Now, let’s have the best spring and summer we can! We’re proud of the fact that we’ve been in this area, doing what we love since 1970. And as much as it means to us, it’s fitting to share the story with all of you. This business technically was begun by Richie Crumpler’s father, Richard in the late 1960s. When Richard found out his wife Faye had developed multiple sclerosis, he decided that his job in Fayetteville, NC at Union Corrugated Tin was too far away from Stedman. He wanted to be closer to home if there was any need of Faye’s. He began doing auto mechanic work at their house before he took over the Sunoco gas station in town. In 1970, Bucky Taylor (who still works with us) began working with Richard. After a few years, Richard decided that he wanted to build his mechanic business more than run a gas station. Bucky Taylor, who has been an integral part of our business since 1970. He moved to a building on Horne’s Farm and also continued doing some work at home. He and Bucky worked at the Horne’s Farm location until 1988 when Richard bought the Martin Amoco station on Highway 24, which is where Crumpler’s is still located today. They began by adding two repair bays to the station and it’s continued to grow from there. 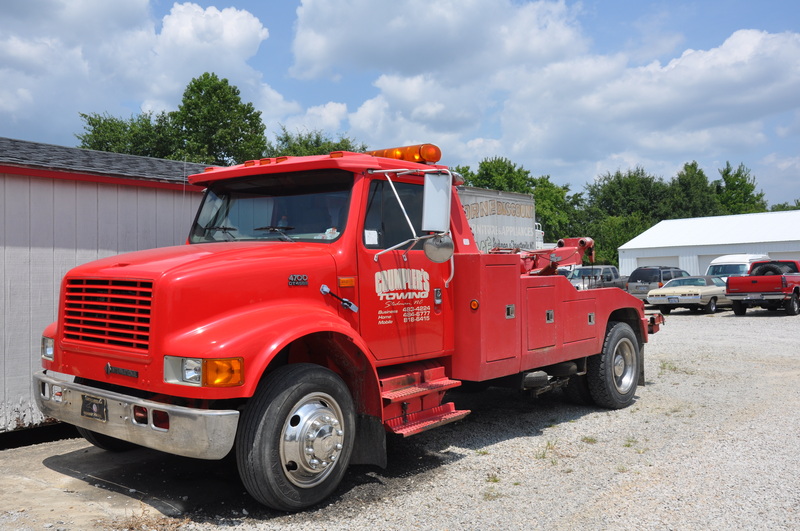 Richard was always an entrepreneur–during this time he was also farming, becoming well known for his sod business and began a towing service. He established himself as a respected member of the Stedman community. In 1989 Richie Crumpler came to work for his dad, Richard. By 1999 he was ready to purchase the shop and did so with Richard’s blessing. He continued the mechanic business and gas station foundation until 2008, when he decided to stop selling gasoline in order to focus the business even more so on mechanical work and the related focus on parts and services. 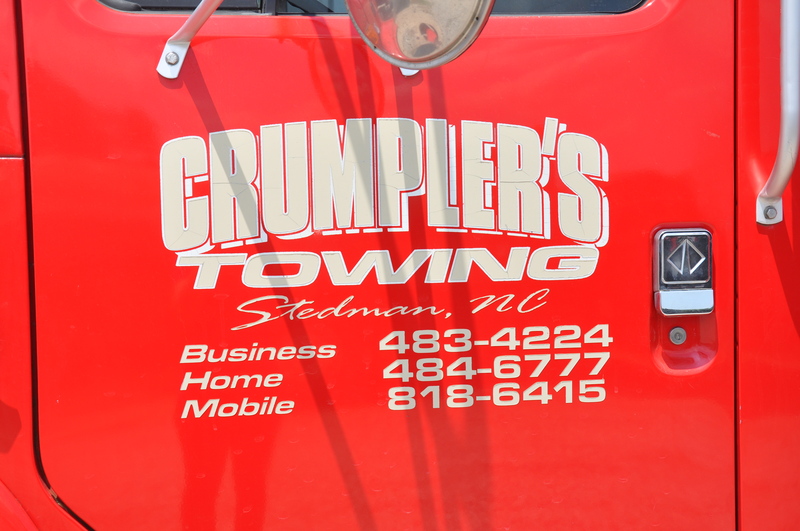 Fast forward to today, and Crumpler’s is a combination of the auto parts store that we all know and love, a full service automotive repair facility, a tire store, an auto sales location, and a 24 hour wrecker service. Another notable add to the Crumpler business is the Crumpler’s Custom Cycle. This end of the operation is run by Richie’s son George and focuses on the complete world of motorcycles. Not only do they offer full service for bikes, but they specialize in customizations, custom LED lighting, dyno jet tuning, and even inspections. Another newer aspect of the business that Richie began to also grow was the Auto Sales part of the business. Richie’s daughter, Leslie Crumpler Beal is the Auto Sales Manager. 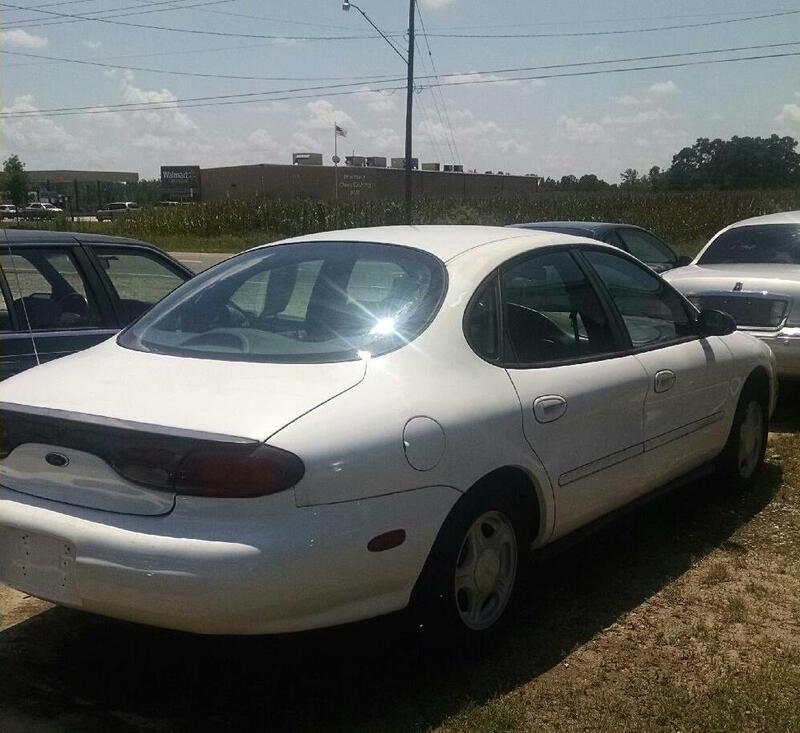 The sales associates find reliable used cars all over the state and Crumpler’s makes sure that each vehicle is safe. If they wouldn’t drive it, they don’t sell it. End of story. Because there are so many different moving parts to a business like this, it requires that we have team of committed individuals. The staff includes Richie, Bucky Taylor (since 1970), Brian Jordan (since 1998), Administrative help in Connie Hall, and Richard (George) runs Crumpler’s Custom Cycle. We expanded and added Brian Bolton, Tim Cannady, Rick Player, and Leslie Crumpler Beal all in 2013. Allan Bass joined our team in 2015 as well. We have an amazing and talented group that is truly family to us. We could not do what we do without them–bottom line. Leslie, George, and Richie keep on the family tradition, all working at the shop together! We are proud to be a local business, employing local people. Our products and services rival any of our competitors and our prices are competitive with national chain stores. But that’s not why we are here. We’re here to serve our community and proudly bring our best to work everyday. We have a goal of excellence, and we’re only getting better with age! We’ve been in business for 45 years this year, and just when we think we’ve seen it all, we see one more thing. There’s not many dull moments at Crumpler’s Automotive, that’s for sure! We pride ourselves on having the best wreckers in use as well. We can haul most anything. If for some reason we can’t–which we can’t conceive of why we wouldn’t be able to–we will still help you figure out the solution. Are you in the market for a quality used vehicle? Look we what just got in! As always there’s more on our webpage: www.crumplersautomotive.com and on our Facebook: Crumpler’s Automotive. Please visit and feel free to share!